28 November 2017 - The 4th edition of CommuniCast Myanmar (CCM) 2017 co-located with the International Myanmar ICT Exhibition 2017. The combination of event, opens today to 30 November at Novotel Yangon Max, Yangon to present the best international and local exhibition, new technologies, new education of technology and new business opportunities. Both events will attract the participation of 74 companies from 14 countries, including 3 international pavilions from India, Singapore and Thailand across the mobile, satellite and telecommunications industry.This year event will focus with theme “Driving Myanmar’s Digital Future”Today, after decades of economic and political isolation, the telecoms sector has attract the second-largest amount of foreign direct investment (FDI) after oil and gas. "Telecommunications industry and ICT is the future trends that will be the dominant driver of exponential growth. Myanmar is the fifth largest mobile subscriber in the world due to the expanding investment and growing demand. The Event combines to be Myanmar’s leading and most important ICT industry event, and present the best international and local exhibitors to help match international companies with local partners to accelerate growth. ICT is at the very heart of the economy and offers opportunities across all sectors.” Said by U Khun Oo, President, Myanmar Computer Federation. 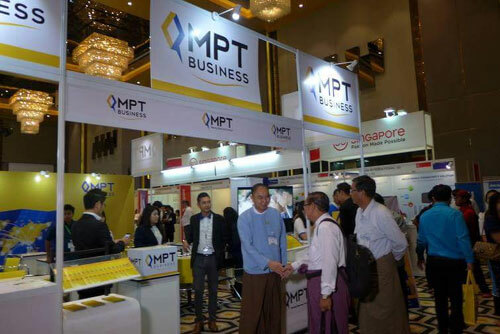 CommuniCast Myanmar 2017 has received overwhelming support from key influencers in the industry including the first and leading telecommunications company in Myanmar, MPT as the Gold sponsor and the world’s best network infrastructure solutions, CommScope as the Silver sponsor. And event received the official support from Ministry of Information Republic of the Union of Myanmar, Ministry of Transport and Communications, Myanmar Computer Federation and Software Park Thailand. CommuniCast Myanmar is organized by UBM Myanmar and its international associate companies in Bangkok, Singapore and London. The ICT and broadcasting technology portfolio of shows includes CommunicAsia, BroadcastAsia, Communic Indonesia and Brooadcast Indonesia. International Myanmar ICT Exhibition 2017 are professional business events for the communications, ICT and broadcasting industries. We will bring together the best international and local exhibitors, new technology, new educational events and new business opportunities adapted for and focused on the needs of Myanmar.” Said Mr. Fraser Hawkes, General Manager, UBM Myanmar. For further information on CommuniCast Myanmar 2017, please contact Rupert Owen in London on +44.0.20.7560.4106 or at [email protected]. CommuniCast Myanmar 2017 is the fourth edition of the annual communications technology, enterprise and convergence solutions show. 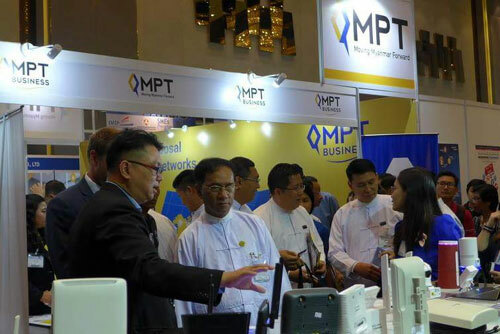 Joining forces with the Myanmar Computer Federation’s international ICT Exhibition and the Myanmar Satellite Forum, the event covers the full spectrum of the ICT industry, from satellite and broadband through to mobile and enterprise solutions, under one roof.